High-stakes adventurer Lara Croft is taking the silver screen once again, as Warner Bros. and MGM has confirmed a sequel to 2018 movie Tomb Raider. 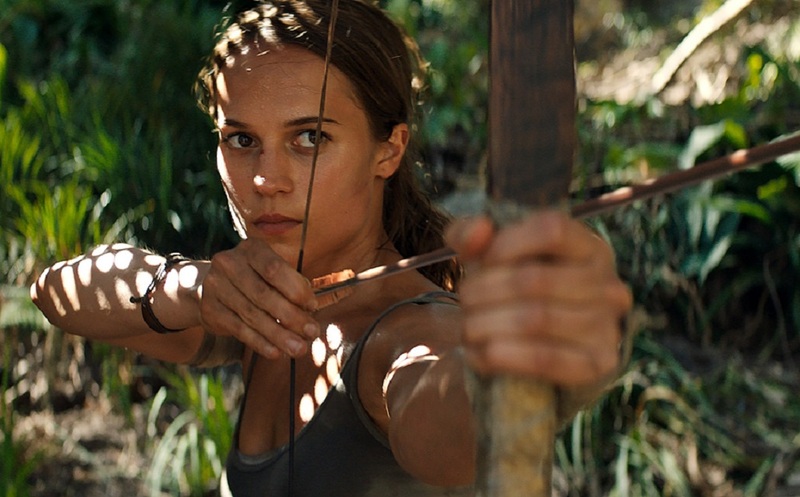 Alicia Vikander is signed up to return as Lara Croft, with the film's script penned by Amy Jump, who also wrote the hi-octane Brie Larson flick Free Fire and Ben Wheatley's brutal Kill List. Released last Spring, Tomb Raider was the movie adaptation of Crystal Dynamics 2013 video game, which reinvented the series with a grittier, more brutal approach to Lara's jungle-swinging adventures. The movie, which also starred Walton "I'm playing a bad guy" Goggins, received mixed reviews, but stayed pretty close to its source material, ultimately raking in around $270 million at the box office. There are currently no plot details or an official title for the sequel, so we are yet to see if the film franchise will continue to follow in the footsteps of the video games, or go off on its own narrative course. No doubt we'll hear more once production gets underway.